For all your clothes, accessories and parts for motorcycles, trust Laval Moto. Whether you need a helmet, tires, a coat or headlights, we offer you only the best. All our equipments comply with safety standards and ensure you ride your motorcycle with confidence. Enjoy the performance and style of the leading brands of the industry. 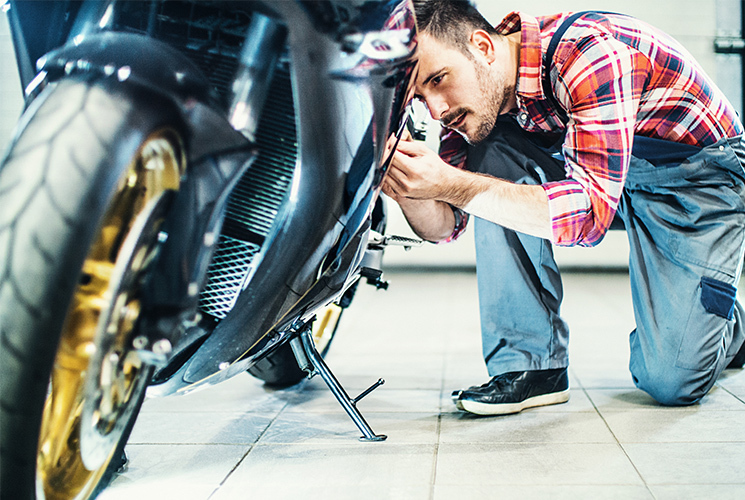 The experts at Laval Moto help you choose the product that will best fit your needs with sustainable parts and accessories, especially chosen for your Suzuki, Kawasaki or Kymco motorcycle, scooter or ATV. Contact us to order a part or for any question on our accessories. Contact our team to place an order!